Opening: September 13, 2017 at 19:00 hrs. They is a group exibition about queer identities. The queer artist are Amrit Elan, Goodyn Green, Iwalja Klinke, Sadie Lee, Camilla Storgaard and Sergio Zevallos. Painter Sadie Lee (UK) is presenting six paintings in the gallery and a further two paintings in an Art Fair happening at the same time in Berlin. 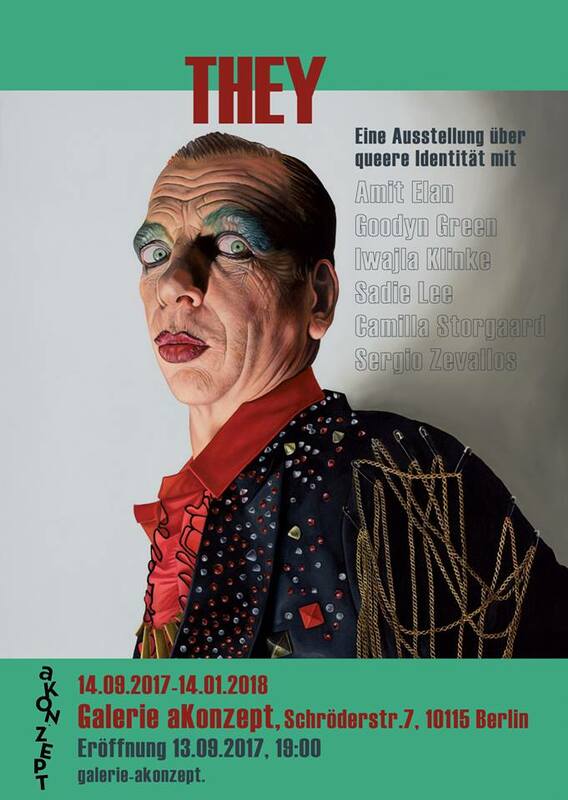 The image of the above poster is her painting of David Hoyle.